Isolée is Rajko Mueller, born in Frankfurt, Germany. He lived with his family in Algeria from the ages of 7 to 12 and went to a French primary school (and on the weekends to a beach called Beau Mot Plage) before returning to Frankfurt with his family in 1983. He lived with his family in Algeria from the ages of 7 to 12 and went to a French primary school (and on the weekends to a beach called bomo plage) before returning to Frankfurt with his family in 1983. Around that time his parents bought him an organ for Christmas and he began trying to do some synth-pop with a school friend; the pair deciding to buy a synthesizer and a drum computer. Rajko became bored of synth-pop and EBM at the end of the eighties and began listening more to rock and independent music. Friends helped him discover house-music, hip-hop and techno in the early '90s and he began trying to recreate these sounds on his old syntheziser. However he soon realized he needed more equipment, which luckily his elder brother - also into electronic music - had already bought. 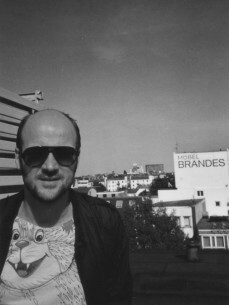 He gave a tape to his friend and DJ Andreas 'ND' Baumecker, owner of Freuindinnen Records, who worked in a record-store where the Playhouse guys used to work, too. And so began the beginning of some marvelous music by a guy named Isolée. The rest as they say, or in Isolée's case, his album "Rest" , is part of electronic music history. In the last few years Isolée has done a number of remixes in addition to the 2003 12" on Playhouse 'Can't Sleep All Night' (PLAY077). More recent work besides the fantastic remix he did for Recloose's 'Cardiology have included 2 remixes for Louie Vega's 'Africa/Brasil'. On May 30, 2005 his eagerly awaited new album 'We Are Monster' (PLAY CD 015 /3LP PLAY 115) was released to great critical acclaim.